I specialize in the study of the Michigan Copper Range, especially the hydrothermal deposition and alteration of its minerals. I like to self collect in the area and try to interpret the mineralization through research. I am an amateur in this field but I enjoy trying to learn. 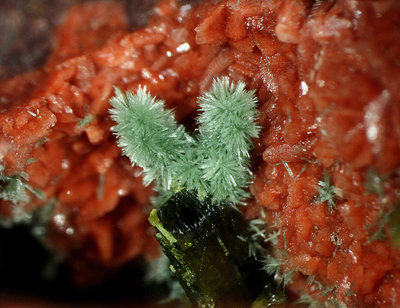 This page lists Larry's favourite minerals, localities and photos. All lists in alphabetical order. Larry has not added any yet. Larry Maltby does not currently have any sponsored pages.